I recently realized that Jesus and family walked about 80 miles each way at Passover for nearly 30 years—from Nazareth to Jerusalem, Israel on foot. It would have been more than a day’s journey with no motels, rest stops, or caravansaries on the way. No Togo’s or McDonalds’, no TV dinners. Two meals a day sometimes? Box lunches? (Snacks, yes). Travel was not safe, either, for solitary travelers as there were plenty of robbers lurking along the old Roman Roads. Weather was quite cool and rainy some years. (Passover is a spring time event in Israel, remember). The total mileage Jesus walked in his short lifetime was possibly 5000 miles! He did not travel to India, as some have supposed, but he did walk over out of country into Tyre, Lebanon, ~50 miles and back, Matthew 15:21-27, Mark 7:21-30. The terrain over there is not level and flat. 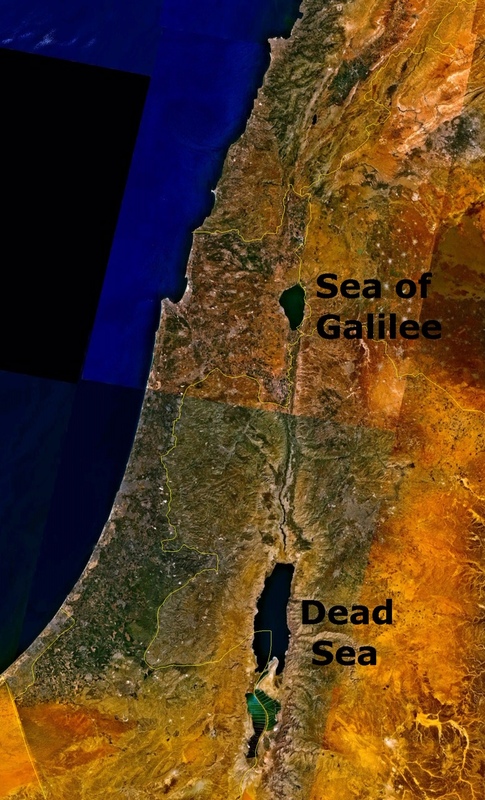 The Sea of Galilee is 700 feet below sea level. Jericho is 846 feet below sea level. The Dead Sea just South a few miles from Jericho is -1400 feet. 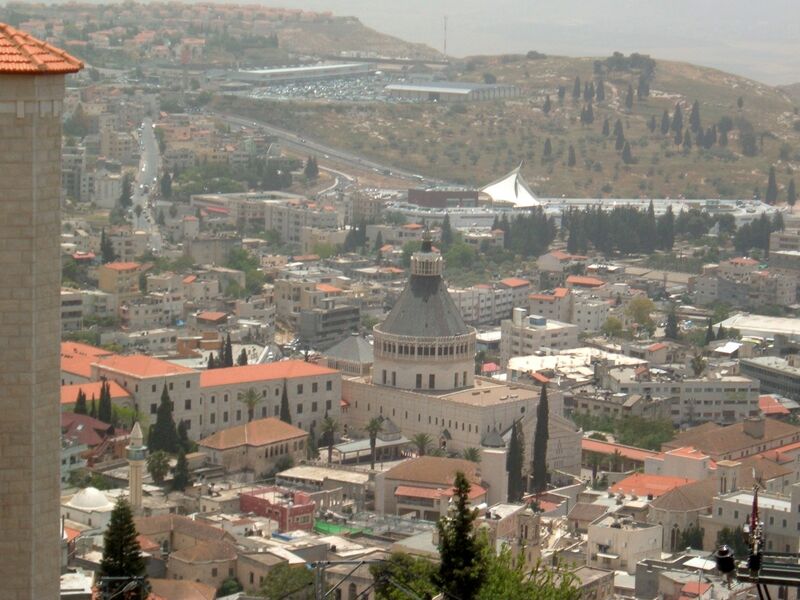 A 22 mile road connects Jericho to Jerusalem (+2200 feet elevation above sea level). It’s not an easy day-walk on foot uphill from Jericho to Jerusalem. Winter is very cold much like Silicon Valley. Summers are hot and dry. We wish we knew more about the life of this unusual man Jesus. 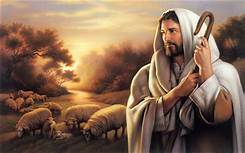 But the Scriptures are mostly silent from the time of his birth, dedication and circumcision on Day Eight to his settling down up in Galilee. Someone will write up those “silent years” of Jesus someday, though not quite yet, apparently. Publishing rights* for Jesus are pending! His disciples will be glad to fill us when we meet them. Your local library has lots of books conjecturing about all manner of stuff about Jesus—but a lot it what has been written is unhelpful, and even toxic, for anyone who wants to know the real God. Now it is actually very easy for us to envision the formative years of Jesus growing up in Israel. The towns, villages, roads, and important places are there now. Millions even dare to visit! We must first disconnect from the rat race of Silicon Valley and our dumbed-down, fragmented idiotic daily lives! Stop and walk in the footsteps of Jesus and see how He experienced and dealt with “real life” two thousand years ago! Jesus never went to kindergarten. He did not attend elementary school, or junior high, or high school or grad school. He might have had some home-schooling from his mom along with his younger brothers and sisters, but no one is 100% certain. Jesus does not hold a PhD or D.D. to this day, would you believe (WYB)? He was “self taught” evidently and yet ended up knowing the whole Old Testament thoroughly. (It was only available back then in lengthy hand-written scrolls in synagogues and in the Temple in Jerusalem). Hebrew only, no Greek or English. Back then there were no showers, no laundromats, no spas, no hot tubs or swimming pools. No soap, no after shave, probably no deodorant. To support his family (apparently after his stepfather Joseph died), Jesus probably carried on his father’s trade as a tekton (a carpenter, stonemason, craftsman). So he was a day-laborer for more than a decade or more? Not a union member nor a workman’s right advocate—apparently. Jesus was probably fatherless for years. Probably unpopular with the other boys in Nazareth. Jesus had plenty of grass-roots appeal. He spoke to large crowds 10–30,000 at a pop. He did attract a few of the rich and famous, a few religionists, and quite a few Roman soldiers. Jesus for sure had magnetic crowd appeal. He had great people skills, was superb with small kids and tamed his wily disciples while in route on foot to his next “scheduled” appearance. Crowd control became a big problem but Jesus has no security guards and no police protection. Jesus was probably self-taught and he learned most of what he knew as an adult. Jesus wrote in the sand once. But he left us no books of his own. Jesus was probably not athletically inclined. No competitive sports skills? Watched no movies. Did no TV appearances, obviously. Was not filmed walking on the stormy Sea of Galilee! Jesus received no honoraria for his most important “key-note speeches” such as the Sermon on the Mount. Jesus—probably fatherless for years—never married, was not gay, was great around women, was brave as all get out! 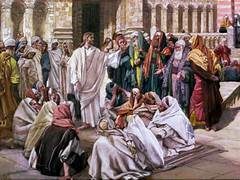 He handled lepers, blind men, cripples, dysfunctional women and the hopelessly lost—with ease. Jesus stood up to the bad guys as a man’s man. Jesus never “slept around,” never got drunk, was probably unpopular as a boy in Nazareth (but not a sissy or a wimp). No email and no Facebook account. No wheels: no bike, motorcycle, nor SUV. Jesus did not carry a briefcase full of flyers and tracts. Footnote: BTW, (by the way) the Romans who “owned” the land by conquest hated the Jews especially, possibly because of their freedom loving, rugged individualism and spirit of Independence. Rome was very much bugged and bothered by that unruly Provence. This ordinary man, Jesus, was actuality put to death by his own countrymen! He was only thirty years old, as well... “Read all About It”—Matthew, Mark, Luke and John are waiting to fill you in. Bible illiteracy is an awful sin against your Creator and ignorance is no excuse! Best of all: Jesus is alive and well now and you can talk to Him yourself one-on-one with no go-between intermediaries needed! He is 100% available and has all along been giving His undivided attention all your life. You just did not know it! Surely it’s time He had your attention! The New Testament describes James, Joseph (Joses), Judas (Jude), and Simon as brothers of Jesus (Greek: ἀδελφοὶ, translit. adelphoi, lit. 'brothers'). Also mentioned, but not named, are sisters of Jesus. The last time Joseph appears in person in any Gospel book is in the story of the Passover visit to the Temple in Jerusalem when Jesus is 12 years old, found only in Luke. No mention is made of him thereafter. The story emphasizes Jesus' awareness of his coming mission: here Jesus speaks to his parents (both of them) of "my father," meaning God, but they fail to understand. (Luke 2:41–51).